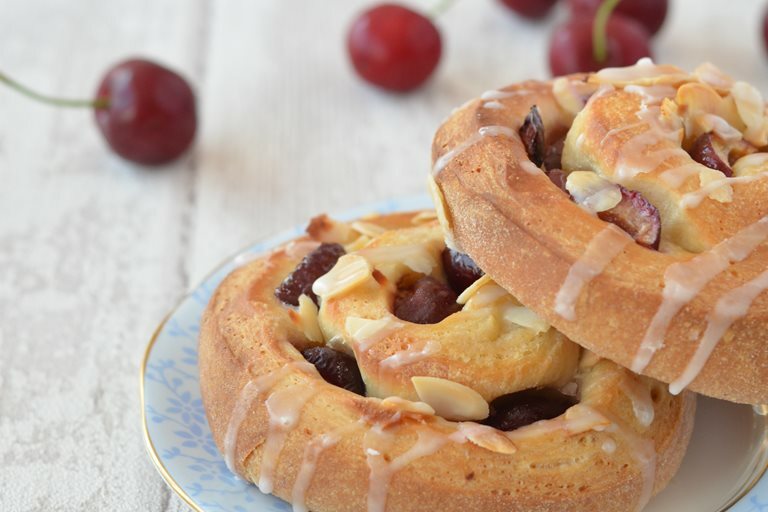 A twist on cinnamon buns, this delightful cherry bun recipe is packed with fresh fruit for a colourful treat. Easy to bake, they're perfect for an afternoon teatime snack. I absolutely love cinnamon buns, with their beautifully soft texture, gooey sweet and sticky cinnamon filling and cream cheese frosting, reminiscent of my time living in America. 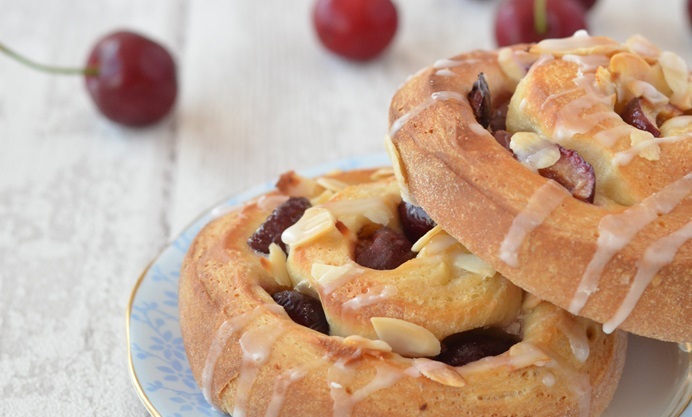 As it's National Cherry Day on July 16th I have decided to adapt my cinnamon bun recipe and fill the buns with a classic pairing of fresh juicy cherries and flaked almonds instead. These buns have been baked spaced well apart, to allow them to expand widthways into a large flat bun with a crispy finish. They could instead by baked in a large baking tin, closer together, which results in a softer, deeper bun. These are perfect to enjoy as part of an afternoon tea or to pack into a Summer picnic.